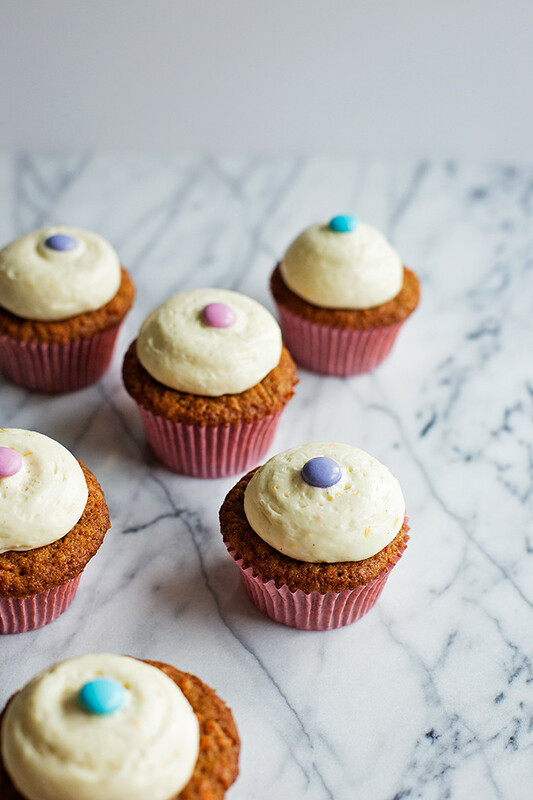 These little carrot cakes are exactly how I prefer my carrot cake. 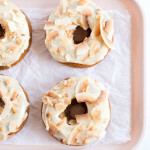 Until I made these I didn’t even realize I had so many opinions on carrot cake, but here we are. 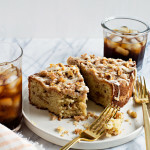 I like a lightly spiced, tender and moist cake, completely free of raisins (never raisins). Sometimes walnuts or pecans are allowed, but I’d prefer them on top and not in the batter. And, always cream cheese frosting, thnx. I think citrus goes so well with warms spices (these muffins and cookies, for example), so I added some orange to the batter and the frosting for a little zesty pop, along with creamy vanilla bean because we all know that orange and vanilla are a dream couple. 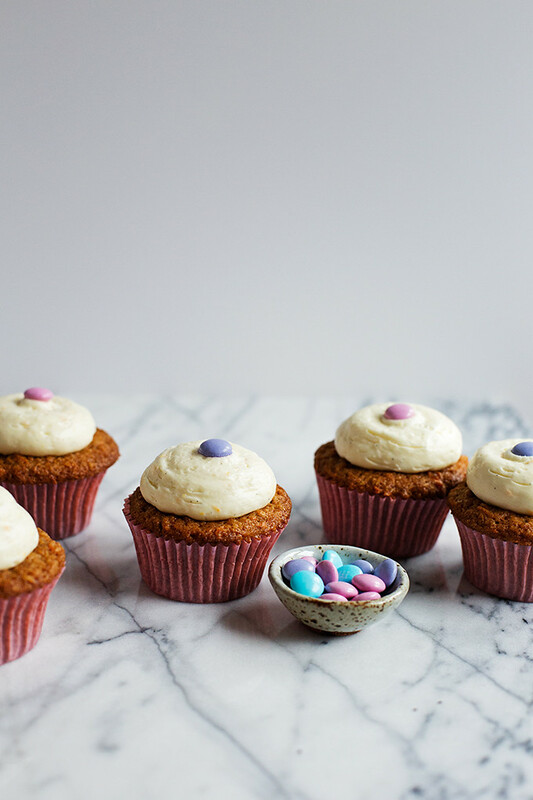 Subtly spiced carrot cupcakes with a tangy citrus and vanilla cream cheese frosting. Preheat the oven to 350°F. Line a muffin tin with 12 paper liners. Whisk the flour, baking powder, baking soda, salt, and spices in a bowl. In another bowl beat the butter, brown sugar, egg, orange juice, and vanilla together. Add the grated carrots and half of the orange zest, mix well. Fold in the flour mixture until just combined. 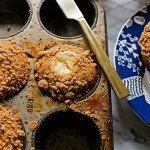 Divide the batter between the lined muffin cups, filling each about ¾ full, and bake for 25 to 30 minutes or until a toothpick inserted in the center of a cupcake comes out clean. Remove from the oven and cool completely on a rack. To make the frosting, beat the cream cheese and butter together until smooth. Add the vanilla bean seeds and remaining orange zest, mix to combine. Beat in the confectioners sugar until smooth and creamy. Pipe or spread onto the cooled cupcakes. I doubled the frosting recipe since I knew I would be piping them with a generous amount of frosting. One batch of frosting is plenty for most. To decorate these, I used spring-themed M&M's. 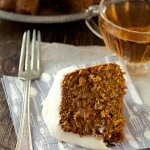 Your description of carrot cake sounds EXACTLY how I like my carrot cake too! Definitely trying these. The added orange juice sounds great! These are the cutest! 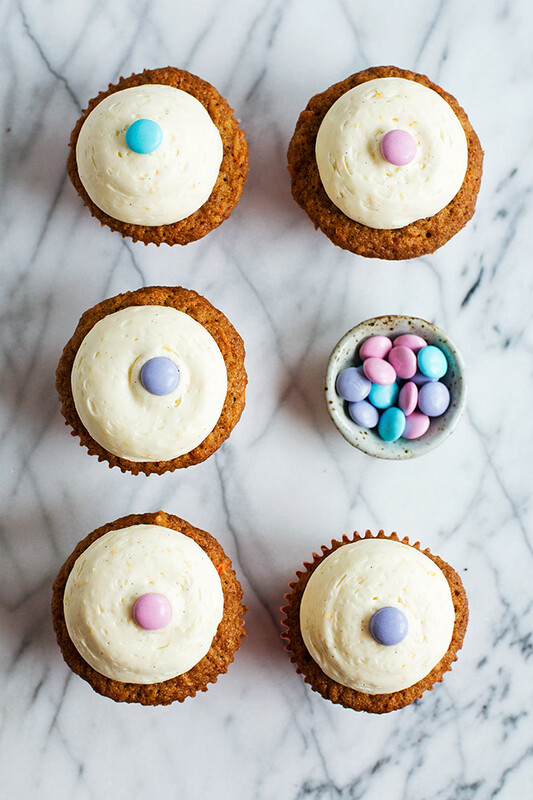 The perfect Easter dessert, right here! I love the citrus, helps keep it interesting otherwise I get sick of the richness. Sounds like a great little cupcake! These sound incredible!! 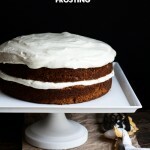 Absolutely perfect carrot cake perfection!! These are just plain CUTE!!! 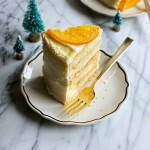 I love the idea of orange and vanilla bean with carrot cake. Great idea!